I was chatting with one of my friends in Australia about turmeric when she mentioned that she has just bought some organic turmeric for a herbal company there. I was quick to ask how does she know its “actually” organic. She was confused. This is the case with most people falling under the trap of an “organic” product including turmeric. Before you go ahead and pay a premium for an “organic” turmeric powder / supplement it is important to know what makes your turmeric organic and what you need to take care to ensure you are buying genuine organic turmeric. Well, the answer to this is simple, any turmeric which is grown not using any artificial pesticides, manure, etc. Organic farming relies on methods such as crop rotation, salinity control of soil, predatory beneficial insects, turning soil after crops, etc. to make sure crop is weed free but without pesticides. Similarly, the manure is also natural. An organic farm will use green manure or compost to make the crop healthy. As you can see the above tasks are not as easy to carry out in today’s world of easily accessible chemical pesticides and manures. Thus, organic products are expensive than non-organic ones. This one is a critical step in buying the right turmeric product. How to identify a genuine organic turmeric brand? What do we do when we buy other products say a baby bottle, we look for has it cleared independent quality standards or not. The same is the case with organic turmeric too. The easiest thing you should be doing is to see if the product you plan to buy has been certified as “organic” by a known and reputed third party agency. For example in the US. 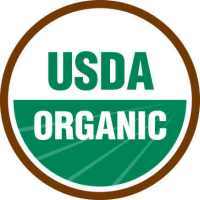 Any product which is genuinely organic gets a USDA certification. When USDA certifies this the producer can put a mark like the one in right on its product which can assure you it’s tested. Similarly, there are independent agencies in other countries who will do this work for example, in Australia, there are several bodies which can give this certification including – Australian Certified Organic, NASAA Certified Organic, etc. So, when you buy your organic turmeric in Australia next time see if it is certified. If not – it’s most likely not to be organic (I am coming to this case soon). If it is – checks which institute the certification is. The certification institute reputation matters as much as the certification itself! There may be some cases when the product may not be certified but still be organic and you can buy it. How? Because it is grown in front of you. If you source your organic products from a person who grows it in his farm near you it is very easy to just drop in and check. Avoid powder and supplement which have additives and fillers in them. Avoid supplements which have magnesium stearate (also known as stearic acid) in them. It is potentially toxic. According to Dr. Mercola another harmful ingredient which may be present especially in turmeric supplements is Dibasic Calcium Phosphate (DCP). The capsule should be vegetable based. It is best to avoid a gelatin-based one as much as you can. So the key thing to buy great organic turmeric is to pay attention to all the above important aspects, most important being an organic certification from a reputed agency in of country. This may mean that most of the brands you are buying right now will not qualify the tests. But it is fine. The motive for taking organic turmeric is to get the best out of this amazing spice. I take golden paste daily. Is there any known problems with consuming and being pregnant? I am 5 weeks. I’m taking less as airing on the side of caution. But I find so many benefits generally from taking it I’d rather keep my intake up to hopefully benefit pregnancy and beyond. Turmeric in the diet should not cause any issues during pregnancy. However, to be on the safer side, avoid consuming large amounts. Do you know anything about the Turmerix FAST brand? Is it decent quality? I’d like to know the difference between standardized to 93% and 95%. I have Always received a bright yellow-orange color of organic tumeric. I understand bright yellow to be the healthiest and organic. I recently received a product that claims that is organic but it’s almost “brown.” I am concerned with lead content and if the co is legitimate. Isn’t the best grade bright yellow? 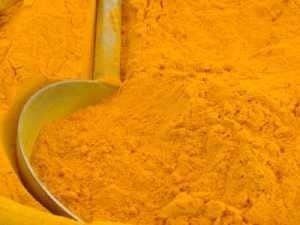 Bright yellow or bright orange should be the color of fresh turmeric powder. We have not come across any brown colored turmeric powder unless it is a spice mix. I’m looking for authentic organic curcunic powder, can you recommend a brand ?? I live in Bangkok, Thailand. All the labels on all products are in Thai, so I don’t really know how to tell what is in them. And don’t tell me to just ask the person who is selling it. The staff at almost all stores really do now know anything about the products they sell. Another thing is the fact that Thai companies are not above the practice of adding “false” labels. I bought 5# Turmeric from Winco store It is Rosered mfg by Spice Chain Corp. I am told it is not Organic but can’t get the info I need to see if it is safe for daily injesting for health purposes? They told me it is Steam processed and they are not able to say anything specific about GMO not being in the prodouct. I am trying to find out if the spice contains other contaminates, but do not know at this time, unless someone else knows that has experience with this companies non-organic spices? I would appreciate your experiences. Does any know if Daily Chef Ground Organic Turmeric is good quality? it is USDA Organic cerified and only ingredient listed is organic turmeric. It is distributed by SAM’S WEST, IN in Bentonville, AR. I e mailed Sam’s club and they answered they had no information. I purchased my turmeric root powder from mountainroseherbs.com at $10.00 lb. It has all the USDA organic stamps and fair for life stamp. I did my research on this company, seems great with excellent reviews. I also buy my essential oils from them. Has anyone purchased the Solagar brand called “Full Spectrum Curcumin”? It’s an oil filled capsule. It is supposed to have the potency of 75 100mg capsules of standardized curcumin. Expensive, but better than taking your chances with the powder. You are automatically consuming a pre boiled product, that you hope hasn’t then been extracted using hexane or some other vile solvent and you probably aren’t supplied the data to prove the dose or the extraction method? Now if you want to trust a sold out company, that’s ok, but I’ll just but the organic root from a reputable buyer and I have the choice of raw and or cooking it myself and knowing the original root hasn’t been screwed with. An extract might be fine if you only want curcumin from turmeric, personally I would prefer the whole plant. The solgar brand of curcumin contains polysorbate 80 as the bio-enhancer. It makes up the majority of the capsule with under 10% being curcumin. Polysorbate 80 is a synthetic emulsifier. THe organic ,processing all are secondary .What is percentage of curcumin This most important. Do you think Frontier Herbs Organic Turmeric is good? This is not a comment in real sense of it. As far as turmeric is concerned what is most important is percentage of CURCUMIN in the turmeric . Normally the content of curcumin of 3-4 %. ZIZIRA in meghalaya markerting through AMAZON said to be containing 8% of curcumin. Second issue is : Curcumin dissolves in fat. So better take it with milk or in any curry where oil is used. Thirdly What ever we consume only some percentage only obsorbed. Where as pepparin which is available in pepper(black) will enhance the obsorbing capacity og intestines. So take turmeric having higher percentage of curcumin with pepper and some form of fat. They ever responds to me questions ? I am buying from the bulk bins at our local Indian Supermarket……how do I know about it being organic or not?!! If’s is SWAD packed and distributed by RAJA Foods, it is NOT organic, nor do they make an organic turmeric. Yes Diane, unfortunately I just made the whole bottle and realized it has flour in it..swad.. Not pure! Hi I live in Assam and we can supply huge quantity of organic turmeric. Anybody interested can contact in 7086760682. Need to dial country code first. I buy my turmeric from Swansons and it has black pepper and organic. Yes, “Swanson’s” catalog of vitamins and supplements has the best prices, verified only top quality. I recently purchase the Tumeric w/black pepper and it is delicious (needs to be refrigerated after opening). To everyone always do your research. Many brands are found to not have any of the supplement claimed. Due your homework – Swanson’s is great! I want to purchase a certified India organic turmeric, high in curcumin. I live in United Kingdom. Can you help? Intend to market reputed organic products in Mysore. What registration and permission is required?What certification is needed? From where can it be obtained? Because it written doesn’t mean it is true. If your cow urine can cure any disease, you could cure all of India and then the world of disease and you would be the most famous physician in the world. But instead it appears you are selling turmeric mint basil? Basically my friend you are talking pure cow dung. How can I use my home grown turmeric to make Golden Paste? And how should I dry and powder home grown?? 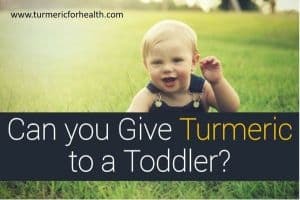 Can you give me a link to where I can purchase good tumeric? I have a big farm and want to grow organic turmeric . Can any body guide me in this direction . Dhananjay Kulkarni (posted in this thread). 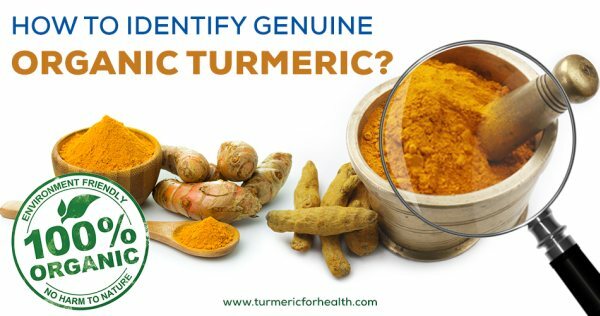 What about the White Turmeric from Dr. Bryson’s Family Medicine…can it be trusted? thank you so much for all your input! White turmeric is different from yellow turmeric or curcuma longa. We have not heard of this brand and hence cant comment. Check if it is certified organic, good quality and contains standardized curcumin extract. I notice your comment:”The certification institute reputation matters as much as the certification itself! ” Can you tell me a little about Tumeric Powder Certified Organic from Sri Lanka Control Union? As this product is obviously imported into my country and does not carry my Countries Certifications, I am left wondering about the purity of this product? Best bet is to buy the root as a whole and grind it yourself. May even buy green root as you are going to be mixing it with water anyways to make the concoction. Available at most of the East-Indian/Asian grocery stores. Organic is another myth even people today are GMO-ed. Stopped worrying about that long ago. FDA and all other agencies are as good as the politicians today if you can believe them believe any of their created agencies even the COPS. I just bought powdered tumeric from the market in Dubai. Do you think it is safe? I live in FLorida, would that make our area good for growing medicinal turmeric? Hi Kerry, turmeric is now grown across the world but of course in many cases you have to have cntrol over the conditions. We will be an article on this soon. It grows GREAT in South Florida. It took me three years to propagate thirty gallons of roots from only a little mailer pouch of roots from China. Long term 95% curcumin use will mess up your liver. Golden paste is much easier on the body. Two years ago I became extremely allergic to chemical dyes and other chemicals, particularly preservatives, like sodium benzoate and isothiazolinones. I do not have a history of any food allergies. I now have to wear undyed natural fibre clothing, which I make myself. I started using turmeric to dye some of the cloth and thread. I also eat it. I have realized that I am having bad reactions to the turmeric, both on cloth, and in food. I bought bulk organic turmeric from a reputable store. I suspect (but can’t be sure) my reaction may be to something IN the turmeric, not the turmeric itself. As with many of the organic products I have tried, “organic” does not mean “chemical-free’ and in many cases, means a LOT of chemicals, and dyes, and fertilizers! Any ideas beyond a trusted spource to figure out if I am reacting to the turmeric itself, or something added to it? 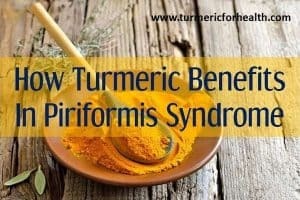 You can do the following – Try taking “raw turmeric” and not powder – if it does not occur then there is problem with powder OR try another brand if possible. Hi – is there an Australian grown tumeric powder? I can’t find one and if I’m going to be taking this stuff everyday – I am not comfortable buying from overseas if the Organic regulators are lax.. Thank you very much for sending me the information about turmeric powder, and I really enjoy reading it. I bought a bag of turmeric powder from a local Indian store, and it is the Laxmi Brand distributed by the House of Speices (India) Inc. in Flushing , New York. The turmeric powder in plastic bag has a net weight of 400 G (14 oz) with a price of $4.99. As you pointed out in your very informative article, some turmeric powders are adulterated with added stuff and artificial colors, and it will affect health. I was also told by some friends that some turmeric powder will have toxic metals in there such as lead. I was very concerned if the Laxmi Brand turmeric powder is produced by a reputable manufacturer, and if you know this Laxmi Brand has been adulterated in some way. I look forward to hearing your advice and comments. You have missed the main issue with purchasing Turmeric in any form and that is Country of Origin. China has such widespread heavy metals in their soil that nearly every manufacturer on the planet now is trying to find alternate sources. 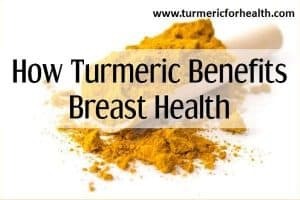 The related issue is that China is the world’s largest producer/exporter of herbs, spices, and the raw materials that go into supplements (especially Vitamin C) and therefore finding alternate sources for Tumeric will take some time. Investigate this topic further and Natural News is a good place to start. Meanwhile, ask your supplier of fresh roots, or contact the company if purchasing capsules if the Country of Origin label is not stated — the quality sellers will give you a straight answer. Mountain Rose Herbs in Eugene always gives me the truth when I ask, and often this truth is something like:: “our lab tests are several years old….or contaminants are below non-organic allowable standards….” or some evasive but honest answer (while they buy time to find another Country of Origin). This is truly a huge world problem. Don’t be discouraged — try growing your own. Turmeric can be grown most places, especially under protection. And don’t forget: Certified Organic Label does not guarantee zero contaminants….only that they do not exceed “allowable levels.” The Certified Organic Label has been corrupted in the last few decades as there are now nearly 300 “allowable” agricultural chemicals which are supposedly less toxic, that Big Ag has lobbied to include (and the list keeps expanding). The Certified Organic Label is a marketing and regulatory (i.e., taxation cash cow) invention of the USDA, the same organization which is pushing and contaminating the entire planet with GMO’s. Hi Ariel, very good points raised. You are right that growing your own or knowing someone who grows quality one is the best bet. You are also right – organic in itself does not 100% guarantee quality turmeric. And thank you for re-publishing your determining quality story; I am very new to your site and did not know this and will investigate your suggestions and links – thanks. Sure, look forward your comments and feedback. HI I BOUGHT SOME TURMERIC POWDER ON LINE FROM INDIA IT SAID CERTIFIED ORGANIC BUT WHEN I GOT IT NOWHERE DID IT SAY IT.PLUS IT WAS IN A ZIPLOCK BAG . SO I EMAILED THE PLACE WHERE I GOT IT AND THEY SAID IT WAS ORGANIC AND THAT THEY RAN OUT OF STICKERS ! WOW ! IT LOOKS THE SAME AS THE OTHER TURMERIC IGOT SOME WHERE ELSE BUT IT SMELLS WEEKER THEN MINE BUT SAME COLOR. Hi Melanie, I NEVER buy any foods or medicine’s “from the Internet” suppliers. I only buy my medicines and foods from longstanding frontline companies which sold prior to the explosion of the Internet-only companies. These would never do something like what you describe and they care about their reputation and will provide documentation and follow through. StarWest Botanicals and Mountain Rose Herbs are two such companies for buying RAW MATERIALS. These providers of raw materials supply the supplements (packager) companies and therefore I am saying there are also quality, honest, clean packaged supplements companies out there, but the whole point is that if you are serious about this, and are young and have a lifetime ahead of you transitioning into self-generated medicine, then you will want to get a Source company, not a secondary products company, that you can count on. The cost savings is a major consideration for low-income people like me, but soon, all these items will skyrocket and cost will matter and therefore everyone will become their own self-producing herbal doctor! Hi Ariel, I just found this site…I have started the Golden Paste club, so to speak…and, I did buy my Turmeric online…ugg where I live, it isn’t easy to come by….I noticed what you said about Starwest Botanicals….Do they sale bad stuff? I did buy my Turmeric from Starwest..it says Kosher certified and USDA Organic…Does that mean anything good? I am so not a healthy eating kind of person…so I really do not know anything about this kind of thing…So any help would be just awesome…Maybe you can give me some ideas where to purchase my next order..
Hi, unfortunately frauds in the name of “organic” are rampant. If you are buying from India be extra careful as laws are not so strict. Excellent comment! I grow Turmeric commercially in Costa Rica. In addition I grow Limes, Rambutan, Bananas and Coffee. We are USDA certified, but I can tell you that we are possibly the only farm in our area that is truly organic that maintains the certification in its integrity. The USDA hires agencies in other countries to certify produce under the USDA regulations and name/seal, and those agencies are in their prospective country. There seems to be little monitoring as many farmers lie to get the certification. I’ve witnessed this time and time again as I know the farmers in my area that have the USDA cert. are cheating. That really chaps my hide because I pay a pretty penny for the certification and I am the only one in my area who is truly organic, I suspect. Regarding China and it’s exports it is important that Turmeric consumers know more about what they are purchasing. In addition, India is not a reliable source either. The USDA recalled big shipments of Turmeric from India a few years back because they found lead in the Turmeric supply. The lead was used to add more weight. It’s all about integrity and buyers getting to know their suppliers. Buyers should make the effort to go direct with farmers. They should enter an agreement that the buyer can inspect the crops at anytime, rather than just relying on the USDA cert. and other certs. Lab tests should be performed but at a lower cost to the seller or buyer. They costs tens of thousands of dollars when all the certs. are added up. That will only drive the Turmeric to a higher price eventually. That’s a shame because everyone should be taking Turmeric but not all will buy it because it won’t be affordable eventually. Something must be done about all these agencies that are middlemen to collect on the profits of the farmer and create more cost to the consumer. On issue you commented on I disagree with and that is where you mention Turmeric can be grown just about anywhere. It is the curcumin levels that matter if you are seeking medicinal benefits from Turmeric. The percentage of curcuminoids in the Turmeric should be at 4.5 to 5% levels. That is not achieved in most places as you mention. It is the tropical climate areas that grow the medicinal levels necessary. Most Turmeric grown in the northern hemisphere have white tips on the end, grow gnarly and are weak. That is because they are growing in a natural habitat. Unless you can recreate a tropical ecosystem close to the equator, you are not going to grow medicinal Turmeric or the levels of curcuminoids will not be sufficient for the amount taken daily. You cannot over eat Turmeric to get curcuminoid levels to be high. That is a health risk. A tablespoon at the most is best. The curcumin must be extracted from the Turmeric in order to work medicinally. (For those who are not aware of this). Finca Lilo, do you have distribution of your products in the U.S.? Curious to know where your turmeric would be available. It’s so difficult to find trusted sources. Finca Lilo do you know where your turmeric is distributed or sold and in which form? Which brands? I second Suhaila Ghezawi’s inquiry of Finca Lilo’s concerning distribution and brands! Nice. How does one find Turmeric products made from your farm? Hello, I would love to buy some of your turmeric, do you have a website or a link ? Where can one order from your farm? So few people understand that any produce, herb, meat can be labled ” Organic ” , I deal with all sorts of farms due to my profession, I am a commercial truck driver. I haul this stuff all over, and guess what the large part of everything comes from a few suppliers. To seperate ” Organic ” from ” NonOrganic ” , is lets just say a simple process of how much is to much and what if we remove X amount of outter layers. To trust The FDA is insane, lol, you don’t pay the bills Big Pharma and the Mega Ag companies control what is and what isn’t allowed, certification is a matter of interpretation by the inspector and the producer. You want organic grow it yourself, but remember the soil is toxic, the air is poluted and the water contains everything that has been flushed down the drain. A head of lettuce can ne called Organic if the first four outer layers have been removed, so keek buying the hype, and the propaganda that these companies have sold you to dig deeper into your pockets. And don’t get me started on Monsanto and what GMO’s are and have done to the planet and its inhabitants. Genetically Modified Organism, that sound All Natural to any one. 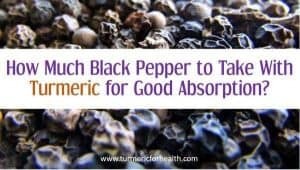 Buy a good quality product, add black pepper and simmer in your meals for taste and health. Try to stay away from China based products but its not easy due to labling often simply says Asia. Big area that is. I bought Laxmi Brand turmeric powder. The bag it comes in has none of the information you indicated on it. It’s made in India but distributed through a company in the U.S. called House of Spices (India) Inc. The bag says it is “paced on a line that processes peanuts, treenuts and wheat. All it says about ingredients is “ground dried turmeric root.” There’s one other thing it says that I found kind of comical. “This product has been processed with the most modern equipement (sic) available but even with the utmost care a small stone, soil or other foreign material may escape detection. We recommend examining and rinsing before proceeding with your favorite recipe.” How do you rinse powder?